It may not have changed the world in terms of sales figures, but we were still very impressed with this year's HTC 10. 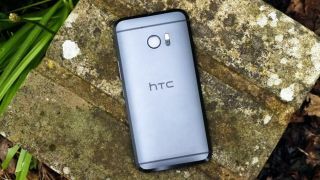 Now we have our first hints at what the HTC 11 might involve when it shows up sometime in 2017. These rumored specs are from a fairly reputable Chinese source but sound a bit on the speculative side to us, so adjust your HTC 11 expectation-o-meter accordingly. We wouldn't take these as set in stone just yet. Insiders say the HTC 11 will come rocking a Snapdragon 835 processor, which is certainly plausible, and will feature a 5.5-inch, 2560 x 1440 pixel display, which fits in nicely with what we've already been hearing about the phone. The phone is also tipped to come with an unprecedented 8GB of RAM and up to 256GB of internal storage, which is less believable. Apparently the display will be bezel-free and borderless, something that's been tipped for several upcoming handsets. Completing the ultimate phone spec checklist there's talk of a dual-lens, 12-megapixel camera around the back, an 8-megapixel camera around the front, and a pretty impressive 3,700mAh battery inside. If all of those specs turn out to be true then the HTC 11 really is going to be a force to be reckoned with and will probably appear at a wallet-busting price point too. No doubt we're in store for plenty more leaks between now and the HTC 11 launch date, which could be anywhere from February to April.